It's Dana's birthday, so she can do what she likes. And what Dana likes to do is pinch. And call people names. And steal her classmates' desserts. You probably know a kid like Dana. What can stop her from being so mean? In this story, it's not what you might expect. Because sometimes, it takes a little creativity (and possibly a very large pet) to change a mean kid's ways. 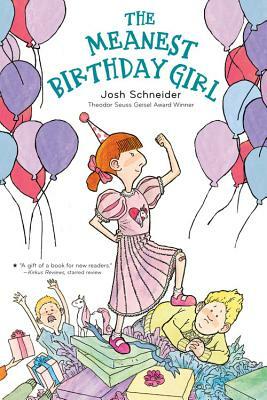 Five short chapters with comical full-color illustrations offer a fresh, fun take on bullying and birthdays (and pet elephants).